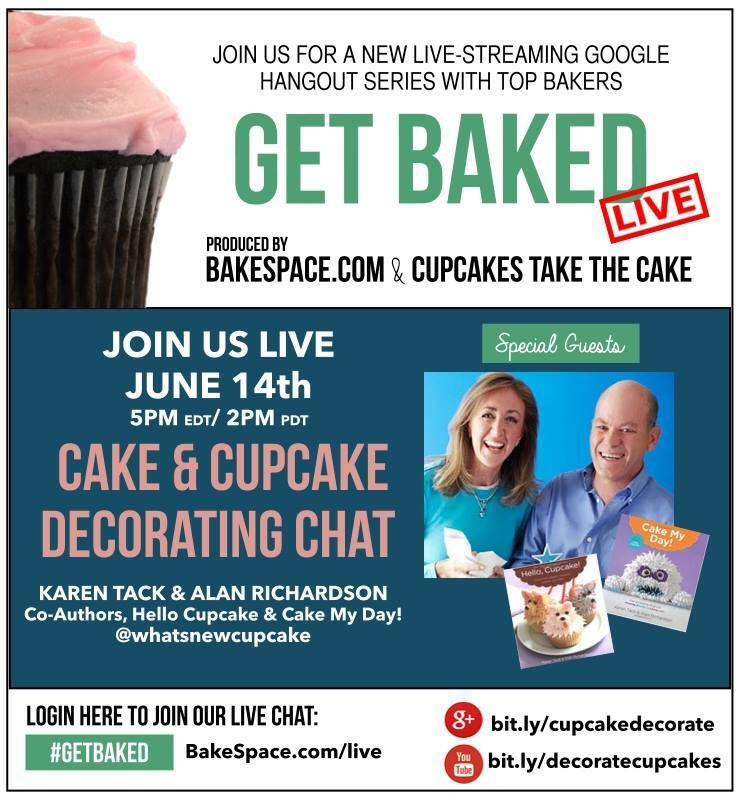 Join us live today on Sunday June 14th as we chat with some of our favorite cake decorators/bloggers on #getbaked (a weekly interactive and live-streaming web series on Google+) brought to you by the founders of BakeSpace.com and Cupcakes Take the Cake. Each week we sit down with our favorite bakers to chat about a new baking topic. 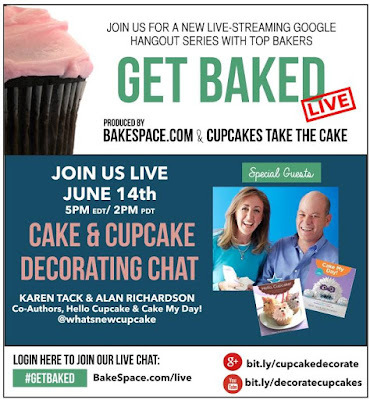 The format of our show allows you to ask questions, share recipes and upload photos of your favorite baking creations.